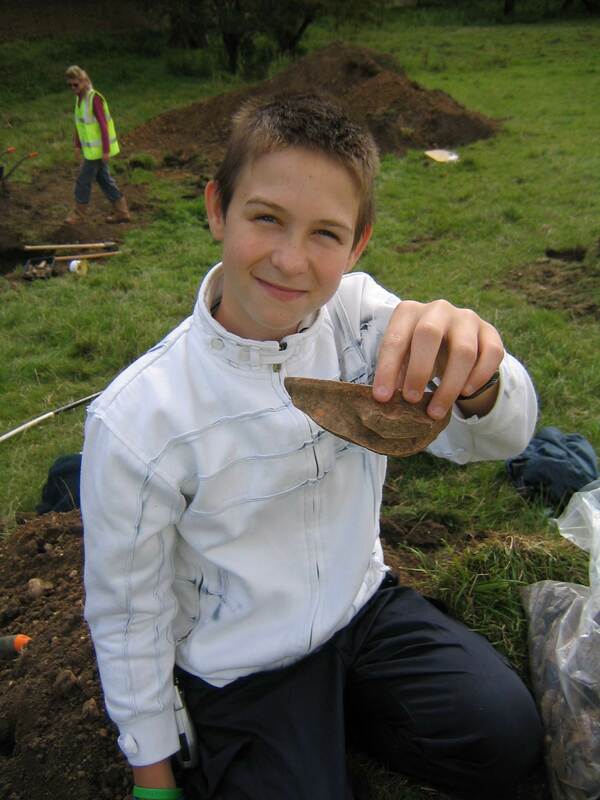 Ely & District Archaeological Society have a fund to make financial contributions to 13-18 year olds based in Ely, Cambridgeshire and the surrounding district towards the cost of studying and undertaking archaeological investigations within the UK. The AHK Bursary is named after Anne Holton-Krayenbuhl who was a distinguished scholar and archaeologist and a founding member of the Ely and District Archaeological Society. Upon her death in 2015 a memorial fund was set up by her family members and others. 1. Applications for funding must be made in writing to the Ely and District Archaeological Society. 2. 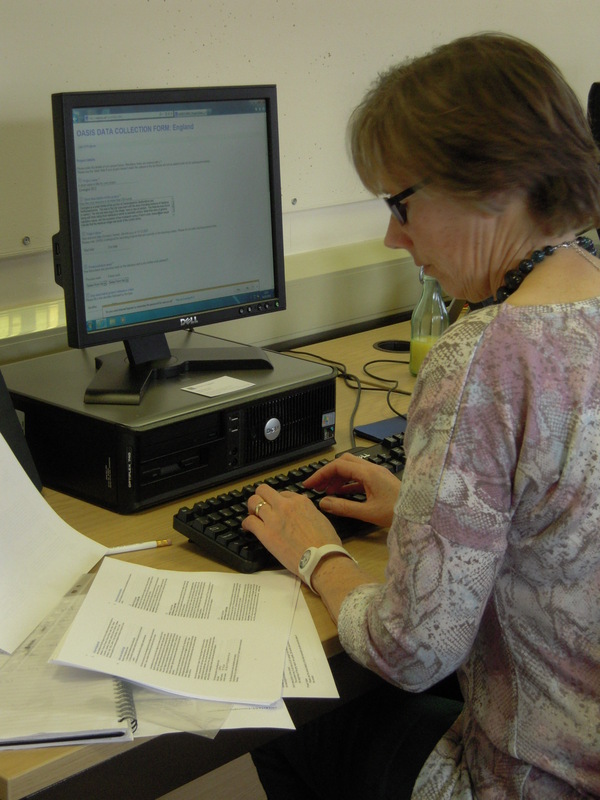 Bursary funding will be limited to a maximum of £100.00 per person or organisation. 3. Applicants must be aged between 13-18 years of age at the time of the application. 4. The granting of funds will be at the discretion of governing committee of the Ely and District Archaeological Society. 5. Recipients of funding may be required to give a short account of their fund usage and how knowledge or skills gained can be put into practice. 6. The scheme will exist until the fund is exhausted. We are pleased to welcome Oakington and Westwick History Society to the Jigsaw community of local archaeology and history societies in Cambridgeshire. They are the first group since the end of the Heritage Lottery Funded term of the project to join Jigsaw Cambridgeshire which is testament to the project's legacy and continuing popularity and relevance in the county. Oakington and Westwick History Society is now officially affiliated to the Jigsaw network which means their events will be promoted on the Jigsaw wesite, social media sites (Facebook and Twitter) and email list. 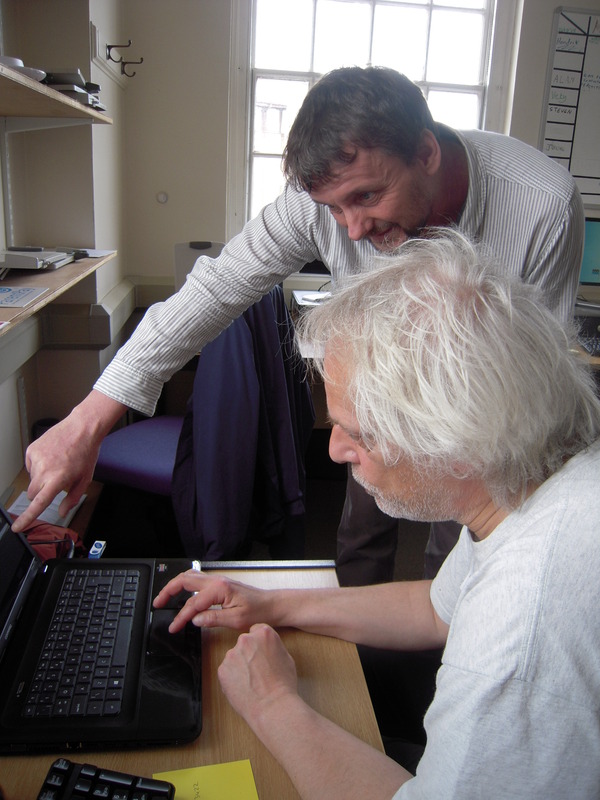 Representatives of Jigsaw affiliated community archaeology groups are also invited to regular meetings to discuss upcoming projects, events and collaborations, and have access to our specialist archaeological equipment. The Society's next speaker meeting is on Thursday 18th May and will be given by Richard Mortimer of Oxford Archaeology East and Duncan Sayer of the University of Central Lancashire giving an update on the archaeology of the recreation ground in Oakington. The Society was set up in 2008 as a result of village interest in archaeological excavations that took place on the recreation ground in preparation for the build of a new pavilion which uncovered a large Saxon cemetery. The Society have been developing their online presence with new design and content on their website with pages relating to the local history, genealogy and archaeology of their parish. 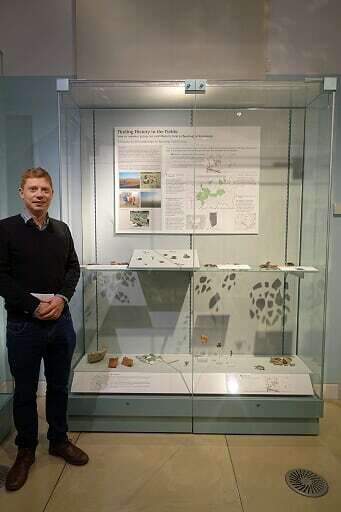 Last year Dr Jody Joy, Senior Curator at the Museum of Archaeology and Anthropology here in Cambridge (shown in the photograph below), extended an invitation to Cambridge Archaeology Field Group (CAFG) to have a display cabinet in the museum to showcase our contribution to Cambridgeshire's archaeology. Members have worked with him and his staff to bring this about and on Monday 10th April the display was unveiled for the first time. A walk around Comberton explores the answers to two questions: First, why is the 13th-century church at a distance from the modern settlement? And second, to what extent can the medieval layout and development of the village be discerned in the modern landscape? The walk begins at the church, continues to Green End, and ends at the crossroads where the High Street, South Street and Green End intersect. Sue Oosthuizen is the Honorary President of FEAG. She is Reader in Medieval Archaeology at the Institute of Archaeology, University of Cambridge. Her research bridges archaeology, history and historical geography. The early 14th century sculptures of the Lady Chapel were intended to be a definitive statement of what a devotee of the Blessed Virgin Mary should know. They were badly damaged during the 1540s in attacks on the images and practices of traditional religion. They were covered with thick whitewash for over three hundred years while the Chapel was in use as a parish church. Campaigns of cleaning, repair and conservation since the 1850s have restored the sculptures to our sight but not necessarily to our understanding: their mutilated state makes it difficult to read and appreciate them, the non-scriptural narratives that they illustrate are quite unfamiliar to many people. Even today they can be an uneasy reminder of England’s Catholic past and of its violent end. The talk will identify of some of the sculptures and describe how the tide turned from condemnation to conservation. Jonathan Rogers is a specialised Guide at Ely Cathedral and the author of "Ely Cathedral: The Sculptures of the Lady Chapel" published in 2015 by The Ely Society. 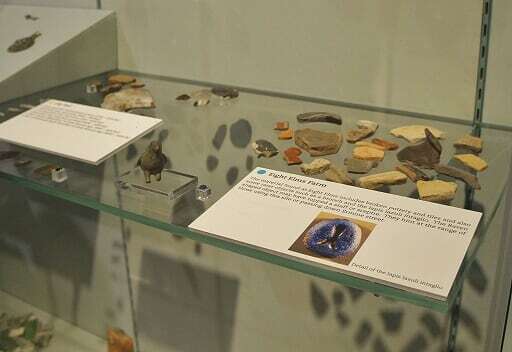 Cambridge Archaeology Field Group have a display in the temporary exhibition case on the ground floor of the Museum of Archaeology and Anthropology, Downing Street, Cambridge. Senior Curator for Archaeology at the Museum, Dr Jody Joy, invited the the group to produce the display to showcase their contribution to Cambridgeshire's archaeology. Members of the group have worked with him and his staff in recent months and the display was first unveiled on Monday 10th April. A new leaflet about CAFG and its work has been produced to accompany the display. Do take a look at their work in the temporary exhibitions case at MAA - behind and to the left of the case facing you at the entrance. Oakington and Westwick History Society have affiliated to the Jigsaw Cambridgeshire network of community archaeology groups. Their events will be promoted on the Jigsaw wesite, social media sites and email list. Representatives of Jigsaw affiliated community archaeology groups are invited to regular meetings to discuss upcoming projects, events and collaborations, and have access to our specialist archaeological equipment. If you are interested in affiliating your existing archaeology or history society, or finding out how to set up a new group, please contact us. The Heritage Lottery Fund's East of England office have announced dates and locations for their funding events and surgeries across the county for 2017: https://www.hlf.org.uk/about-us/news-features/funding-fairs-and-surgeries-east-england If you are interested in developing a heritage project and applying for their grants you can make an appointment to discuss your ideas further with one of the HLF's funding officers. Visit the Jigsaw calendar for details of upcoming community archaeology events in Cambridgeshire. Please contact us if you have any other events to add. On the 6th May 2015 and again on 7th March 2016 group training days in OASIS were provided for archaeological societies working within Cambridgeshire as part of the HLF funded Jigsaw initiative and hosted by Cambridgeshire County Council's Historic Environment Team.